Home » Blog » Dynamics NAV » Is your Hardware Device Supported? All technology has an End-Of-Life date. This year marks the 5 year anniversary of the end of Mainstream Support for Windows Mobile 6.5 Professional and 7 years for Windows Mobile 6.1 Professional. While the product does not have a listed Extended Support period there are still many devices in operation with this software. The table below lists the differences between the terms. These dates are important to note to ensure your business can best decide whether to keep existing hardware or look for updated options. My colleague Andrew Ferguson has also written about the importance of making sure you’re aware of your software’s End-Of-Life plan for Servers, User PC and Dynamics NAV in his post: Is Your Software Supported? This year marks the 5 year anniversary of the end of Mainstream Support for Windows Mobile. A 3-year insurance plan is often bundled with rugged scanner hardware purchases to cover a variety of situations. On the expiration of this cover you can run a cost benefit review and determine if the cost of the probable repairs is greater than the cost of the insurance. Eventually, the device will reach a point where it is no longer worthwhile repairing. You will decide if the hardware is at end-of-life and will be written off in the books. New hardware is always being produced alongside mobile software. We’re seeing a trend towards the Android operating system from outdated Windows Mobile. Android has been increasing its market share across rugged smartphones, compatible with all major device manufactures such as Honeywell, Zebra, DataLogic and Panasonic. Fenwick Software has been deploying Android solutions, both custom developed, or in partnership with Tasklet Factory Mobile Warehouse Management System. Finding out if your devices are still supported can be confusing as there are many terms given to different points of end-of-life. The support in these cases refers to Microsoft support, not Fenwick Software. Lifecycle Start Date: The date the product support begins. Mainstream Support End Date: This refers to products that are no longer supported by general support. Updates and security fixes will no longer be released. Extended Support: This refers to products for which there is no longer the ability to get any support from Microsoft. While software upgrading can be a daunting task, our Warehouse Management System (WMS) for handheld devices can be deployed on either Android and Windows platforms. Tasklet Mobile WMS works with systems from Dynamics NAV 2009 R2 through to Business Central. These can be hosted by Microsoft, Fenwick, or on your own servers. If you decide to update your devices, we can help make sure the deployment of the devices is in your hands within a couple of days. Jesse moved from Ballarat to Melbourne in 2009. 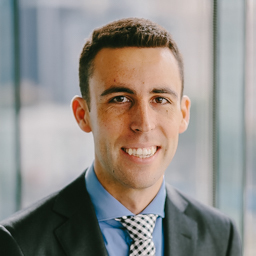 He joined Fenwick Software in early 2016 while finishing his Masters of Business Information Technology at RMIT University in Melbourne. While studying Jesse worked on mobile applications for a not for profit organisation dealing with alternative currencies. He has also worked in the service industry including a stint at Cumulus Inc., one of Melbourne's best known restaurants.